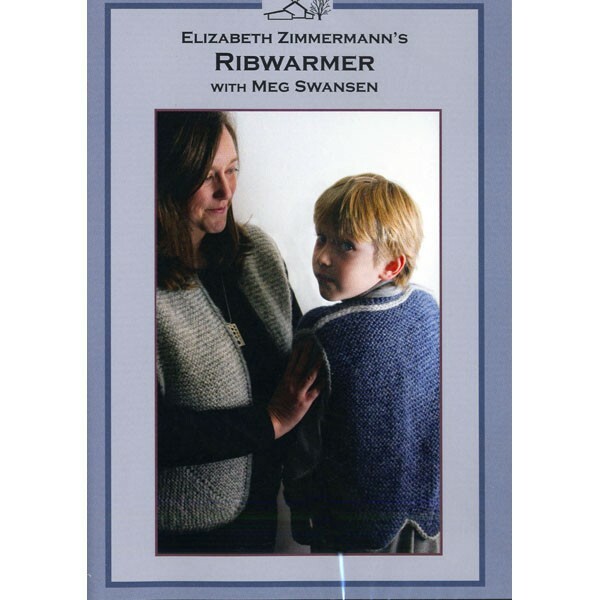 Elizabeth Zimmermann's Ribwarmer is as classic as her Baby Surprise Jacket. Here Meg Swansen leads you through numerous variations including a Child's Ribwarmer, Meg's Knee-Length Ribwarmer and EZ's Butterfly Jacket, first published in McCall's. The classic Ribwarmer is a utilitarian and attractive garment (Meg wears hers almost daily in winter), the knee length version is a warm over-layer and the butterfly is sleek and graceful. Techniques shown include: Provisional cast on, increasing, short rows, Garter stitch weaving, EZ's After-thought pockets and Applied I-cord, 3-Needle I-Cord Cast Off, Reversible Phoney Seams, and a Sport-Jacket Vent. 1 hr 45 mins. DVD.